The Sony a6500 was announced very soon after the a6300; so close in fact that the camera was just becoming available as I was shooting for our a6300 camera review. Needless to say, the Sony a6500 features some nice upgrades. The a6500 is Sony's flagship APS-C mirrorless camera, packing a robust set of photo and video features into a very affordable camera body. 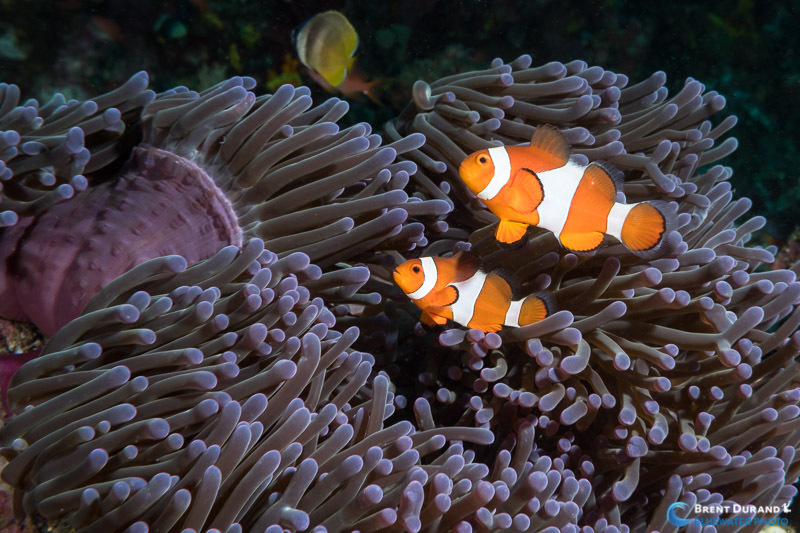 The camera is much smaller than the full-frame mirrorless Sony a7R II, making it a great choice for those who are looking at mirrorless cameras for their impressive image quality in a small body. 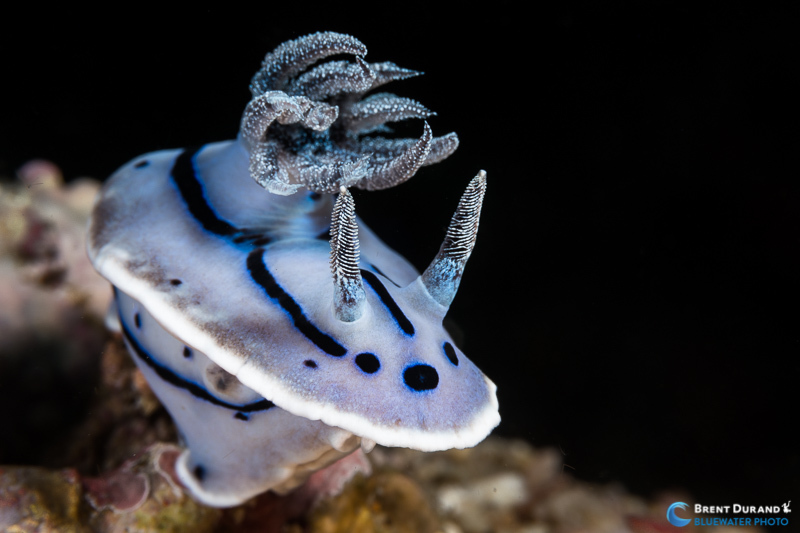 I shot the Sony a6500 in the Fantasea FA6500 housing across 30 dives during Bluewater Photo's spring workshop in Anilao, Philippines, leading to the insights in the review below. I used the Sony a6500 for both macro and wide-angle, photo and video, in Anilao a few couple weeks ago. 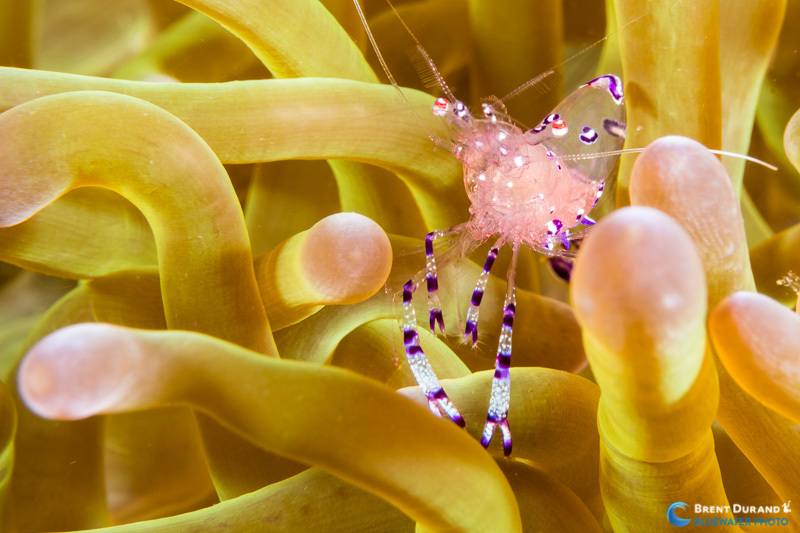 I shot exclusively with the Sony 16-50mm power zoom kit lens, which when combined with Fantasea's macro diopter and wide angle conversion lens, presented a versatile camera setup. Image quality of the a6500 is excellent, as you can see in the sample photos throughout this article, however I do think there is some clarity to be gained by shooting higher-quality lenses like the Sony 90mm macro and Sony 16-35mm wide-angle (f/4 or brand new f/2.8 version). The color delivered into Adobe Lightroom was a little warm for my preferences while using Bluewater's rental Sea & Sea YS-D1 strobes (camera set to auto white balance), so I created an a6500 preset to set each image at 5000k as an editing starting point. After this, the color really popped (a true hat tip from a guy who shoots Canon DSLRs on land!). The a6500 defaults to showing the blinking highlight alert during image review, which I find very useful (along with the histogram). This alert has a lower tolerance than Adobe Lightroom, meaning that if an area is just slightly blown out and flashing on the a6500 LCD screen, there may still be recoverable info in the pixels once the .ARW file is opened in Lightroom. Camera Controls: The Sony a6500 default control functionality is very intuitive, and that is without programming the custom C1 and C2 buttons on top right of the camera. Camera Operation & Processing: The a6500 takes a few seconds to boot up, and controls also take a split-second to respond. This lag will be unnoticeable (or even much faster than normal) for most compact and mirrorless shooters, but might might bug some DSLR shooters who are used to buzzing in between settings, photo to video, and menu changes. This is the only reason I point it out. Max Sync Speed: This is 1/160s on the Sony a6500. The camera actually limits your shutter speed to 1/160 when the pop-up flash is up, which prevents you from bumping up the shutter by accident. For shooting video at 1/250s (manual setting for recording at 120 frames per second), I simply pushed the flash down, which then opened up the full range of shutter speeds. Autofocus: 4D autofocus performed accurately on the Sony a6500 for both wide-angle and macro. There is a definite improvement in ability to lock focus when shooting macro, but note that I was using the 16-50mm (I had used the 90mm for reviewing the a6300). Given that the a6500 was marketed as the fastest camera in the world at launch, I would expect nothing less. This said, there were a couple times where I was using a diopter and beyond the maximum working distance, and the single AF lock let me fire images even though the subject was clearly not in focus. Once I moved the camera within range the system regained accuracy. Moving a single AF point around the frame is a multi-step process, unfortunately. You must push the function button, push set once the AF area is selected, then push the M area once selected, and then move the focus point around the frame. The focus point stays active until you need to use the rear control dial to access another setting, like ISO. At that point you would need to reactivate it through the process above (note: you could program ISO to the C1 or C2 button in an effort to keep the focus point active constantly). I shot the a6500 using Single AF. 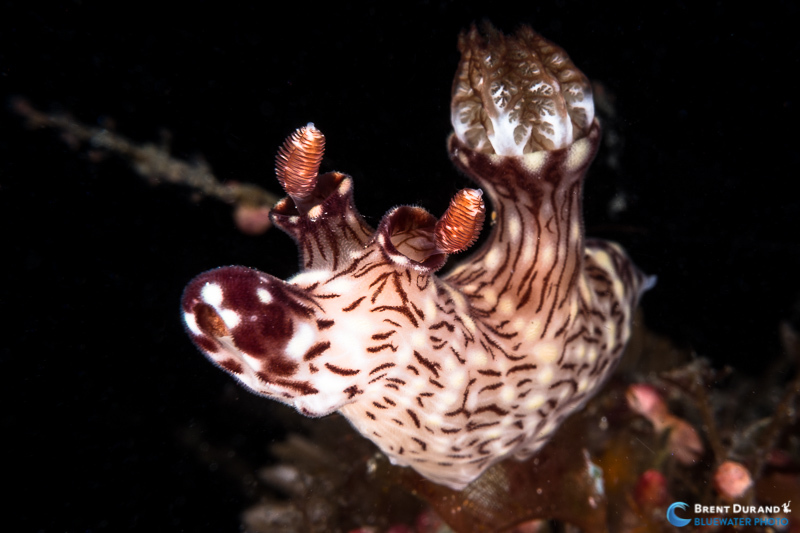 I did try tracking a few different times on some very camouflaged subjects (network pipefish, ghost pipefish, juvenile sweetlips) but found it wasn't any more successful delivering images than Single AF. The tracking works much better on subjects with a clear contrast difference from their background. Battery Life: The Sony a6500 battery lasted about two macro dives with the pop-up flash set to Fill Flash. 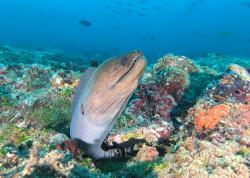 When shooting video, I would recommend changing the battery after every dive. The Sony a6500 is a powerful video machine. 4K at 30fps and 1080p at 120fps make the a6500 versatile for beginners and pros alike, those making long-form films or those aiming for short clips. If you're a casual video shooter, simply push the red button when the action starts. More advanced shooters will be pleased to know that the Sony a6500 features 4K Super 35 mode (popular in the a7 II series), which records video across the entire 6k sensor (full pixel readout, no binning). This oversampling results in crisp 4K (3840x2160p) imagery, and when combined with flat gamma curve profiles like S-Log 3, contains much more dynamic range to work with while editing and color grading. The a6500 records 8-bit, 4:2:0 4K at up to 100Mb/s. Adding an external HDMI recording device increases this to uncompressed 4:2:2 4K (although still 8-bit). The closest video competitor in this camera class is the new Panasonic GH5. White Balance: Sony does not offer 1-touch manual white balance on the a6500. Read our complete Guide to Manual White Balance on the Sony a6500. Sony a6500 Video Settings: I set the camera to record in XAVC S HD format, 120fps at 100Mb/s. Why no 4K? Aside from the fact that my laptop can't process it, most of us can't view true 4K resolution anyways. 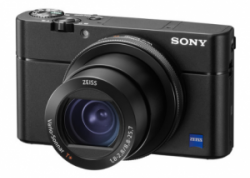 There is a valid argument that you'll see better image quality when shooting 4K (and resizing to 1080p during post), however the maximum frame rate on the Sony a6500 is 30fps. Since I only use short unedited clips for social media (and was looking for action to replay in slo-mo), shooting 1080 at 120fps made far more sense. 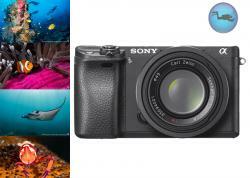 Image Stabilization: The new 5-axis image stabilization in the a6500 body is apparent when filming underwater video. It's most noticeable when handholding the system, rotating around the subject, and slowly moving in and out. The IS serves to minimize the shake, resulting in smooth motion. I didn't notice it as much when the camera was filming on a tripod. Autofocus: Video autofocus is fast and accurate. The autofocus found and held subjects well for both macro and super macro shooting, although it did shift focus off my selected subject a few times when confused (e.g. 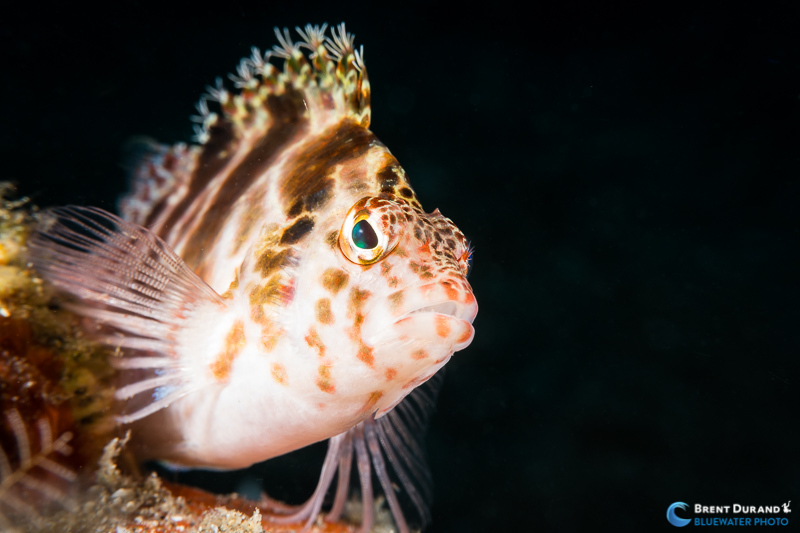 from colmani shrimp eye to antennae bristles when they moved in front of eye, and then back to eye when the antennae was moved again). This is very normal when using autofocus with distracting elements in the frame or backgrounds of similar contrast/patterns as the subject. 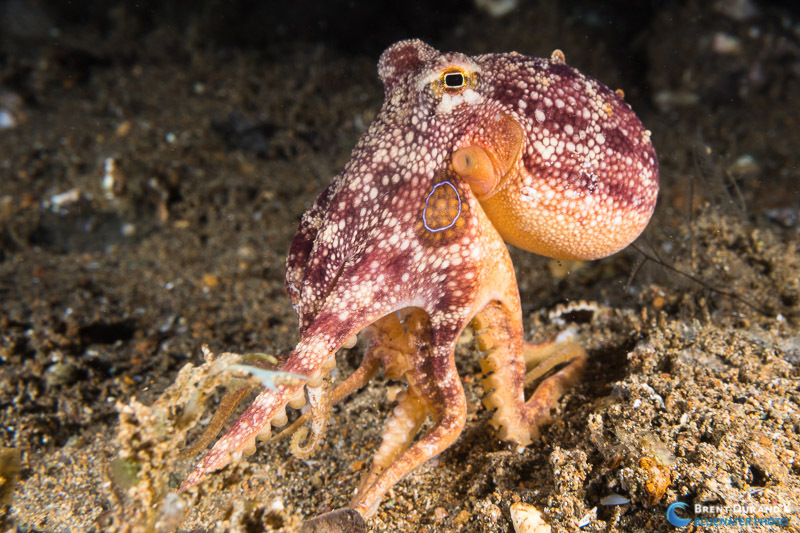 While I recorded quite a few video clips during our dives in Anilao, we'll save the detailed pro-level video review for a separate article to come soon. Sony E PZ 16-50mm f/3.5-5.6 OSS Lens (SELP1650): A compact, light kit lens with a versatile focal range for u/w photo and video on the a6500. Minimum focus distance of 25cm. 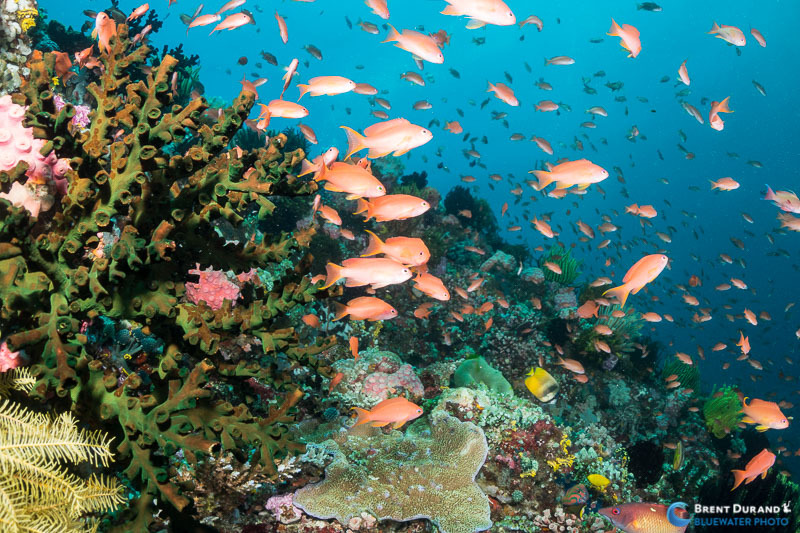 Sony E 10-18mm f/4 OSS Lens (SEL1018): First-choice wide-angle lens for underwater shooters with the APS-C sensor a6500. Sony E 16mm f/2.8 plus Sony Fisheye Conversion Lens vII: This is a nice, wide fisheye setup for APS-C sensors like the a6500. The fisheye converter also works with the Sony E 20mm F2.8 lens. 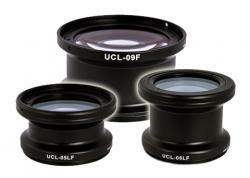 Individual housing manufacturers may offer macro and wide-angle wet lens options. 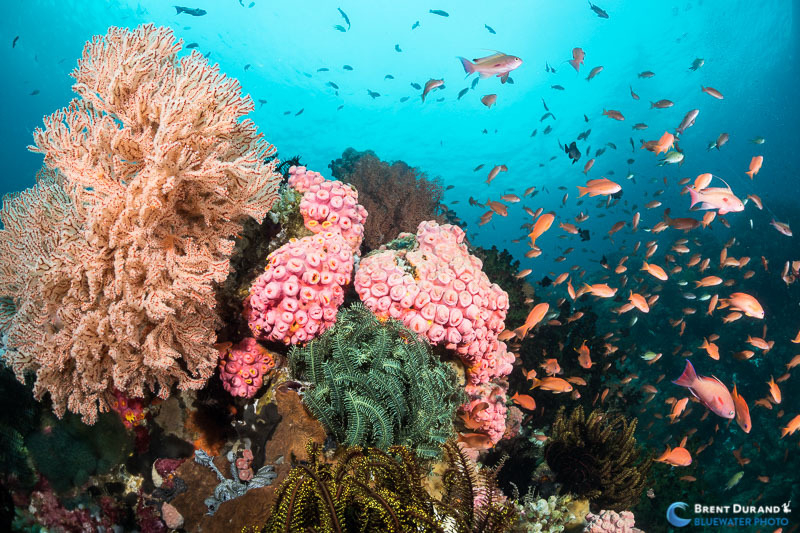 For example, Fantasea a6500 housing shooters can use the Sony 16-50mm lens inside a small flat port, donning the UCL-09LF macro dioptor or UWL-09F wide-angle conversion lens depending on the shot. 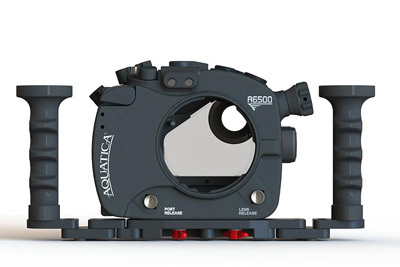 Aquatica designed this housing to retain the small, easy-to-use size of the a6500. Robust in build with ergonomics at the forefront of design, this housing features various strobe connectors, M16 bulkhead for a monitor, vacuum capabilities and many other great features. 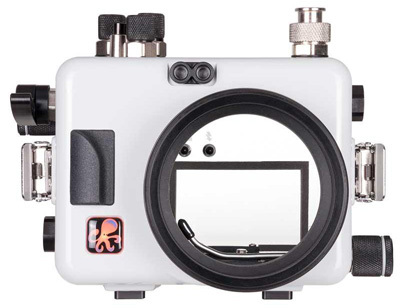 Learn more about the Aquatica a6500 Housing. The Fantasea FA6500 fits both the a6500 and a6300, with a functional and sleek design that blends ergonomics with great value. 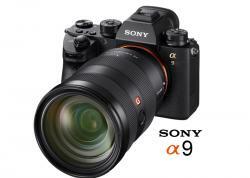 A wide range of accessories, including TTL converter and wet lenses complement the housing. 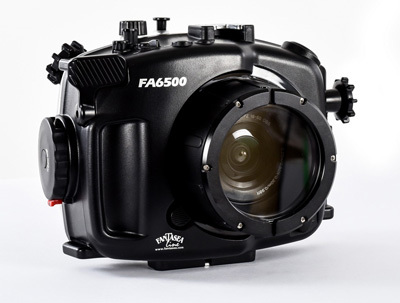 Learn more about the Fantasea a6500 Housing. The Ikelite a6500 housing delivers great value in their iconic polycarbonate housing, complete with an integrated TTL circuit that's powered by the strobe - no extra batteries needed. A wide range of ports complements the a6500's arsenal of lenses. Learn more about the Ikelite a6500 Housing. 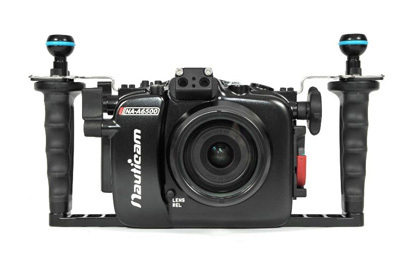 The Nauticam NA-A6500 housing is precision engineered to provide the most ergonomic control of the camera. 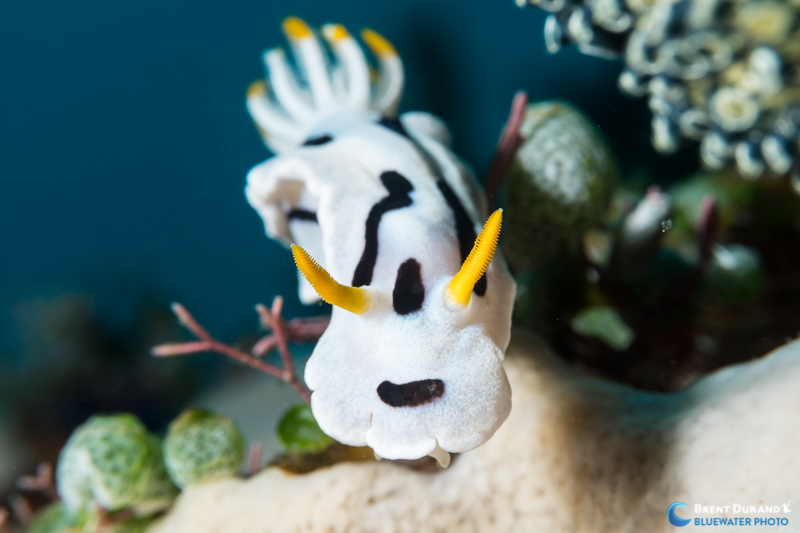 Nauticam has moved camera controls to positions at the fingertips and offers many accessories to build this kit for beginners and pros alike. 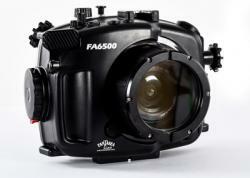 Learn more about the Nauticam a6500 Housing. The Sony a6500 is a great camera in a small package. The flagship Olympus and Sony a7 II series are big cameras, and while the performance is there, their housings look more like those of DSLRs than small mirrorless cameras. 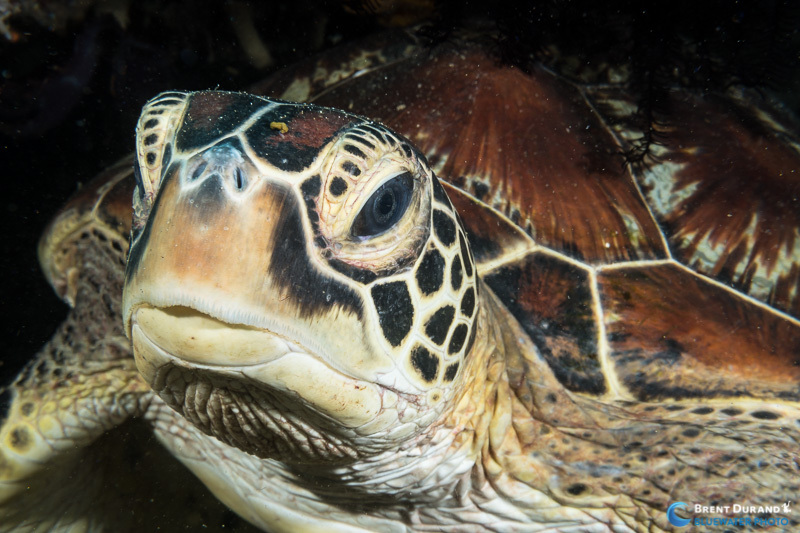 Excellent image quality, fast autofocus, video image stabilization and a quickly growing selection of lenses make the Sony a6500 a great choice for underwater photo and video shooters. Housing prices start at $975 and go up from there, so you can build a very affordable underwater system around the a6500 - a huge PRO in my book. Less experienced shooters will not see many cons with the a6500. Shooters coming from DSLRs will need to adjust to the slightly slower operating speed (menus, startup, button controls) and the fact that everything in the LCD screen and EFV is digital instead of the real scene reflected in a mirror. In short, if you're looking for a compact and powerful interchangeable lens camera system at a great price, then the Sony a6500 is for you. Disclosure: Fantasea loaned UWPG the gear reviewed in this article, which was returned after the review.